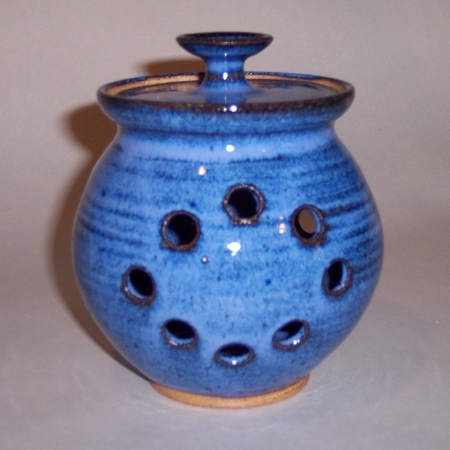 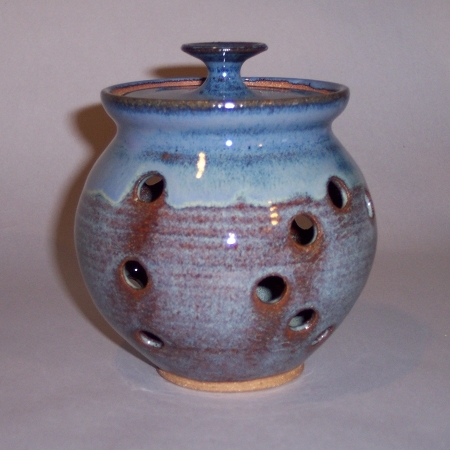 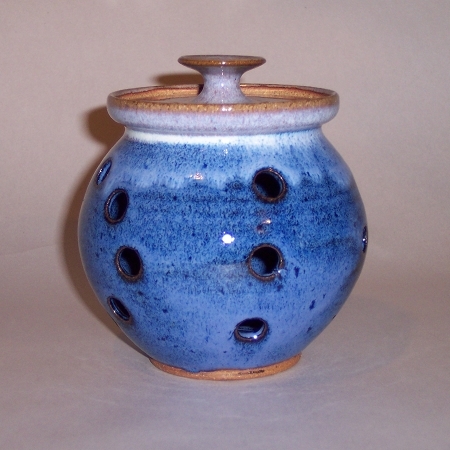 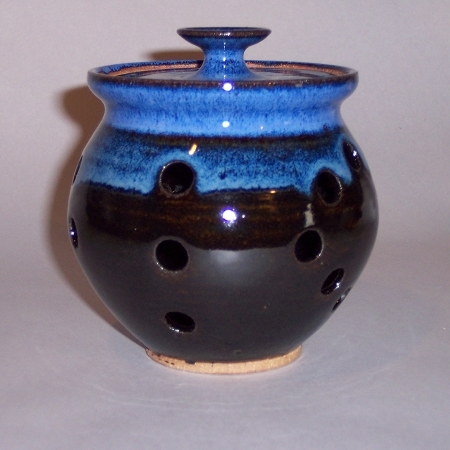 These handmade pottery garlic pots hold several buds of garlic and have generous holes to provide good air circulation which garlic requires. 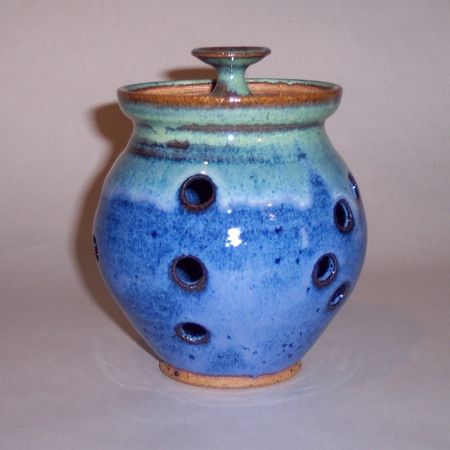 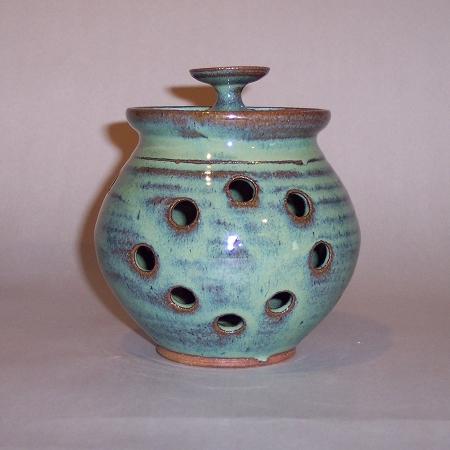 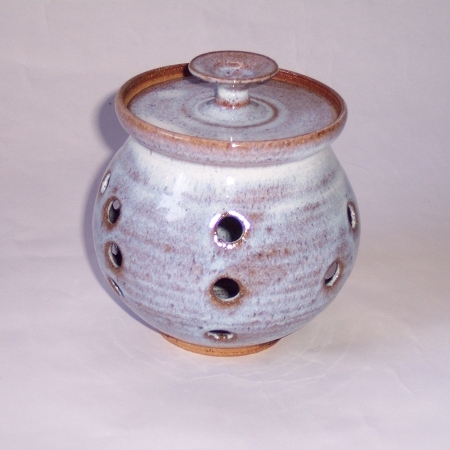 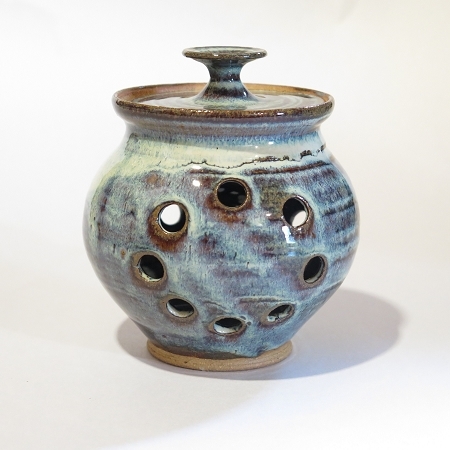 Each one of the stoneware garlic pots is individually hand thrown and unique in size and shape. 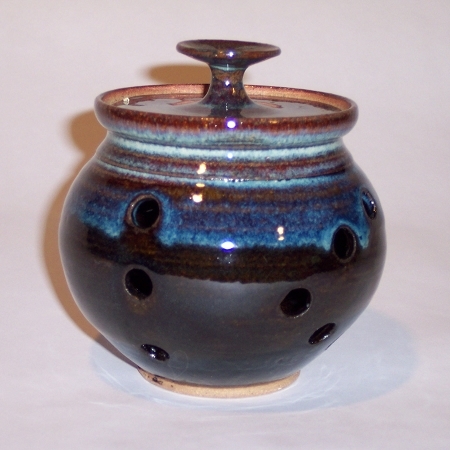 Therefore, the wheel thrown garlic pot you receive will not be exactly like the ones you see.